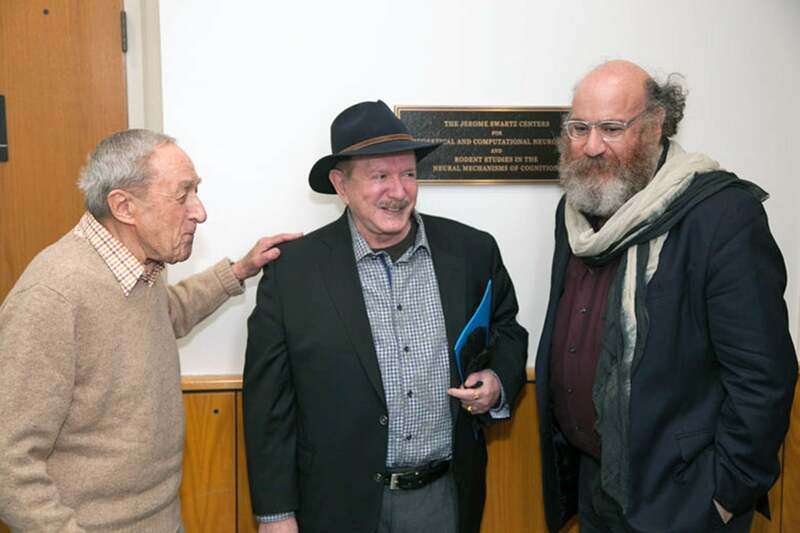 An official recognition of Jerome Swartz for his 25+ years of friendship and generous support of Cold Spring Harbor Laboratory neuroscience programs was held on Wednesday, April 1 with the dedication of the Swartz Centers for Theoretical Neuroscience and Neural Mechanisms of Cognition. Jerry, co-founder and former CEO of Symbol Technologies was the 1999 recipient of the National Medal of Technology. He currently heads the Swartz Foundation with the mission of integrating problem-solving approaches from physics, mathematics, electrical engineering and computer science into neuroscience research, to better understand the relationship between the human brain and mind, one of the great frontiers of 21st-century science. Jerry’s initial gift to CSHL was for a 1998 Banbury meeting on Neuro Computational Strategies. His involvement at the Laboratory has grown over years into leadership as a member of our board of trustees and partnership in the development of groundbreaking neuroscience initiatives through support of post-doctoral research, conferences, workshops and seminars. 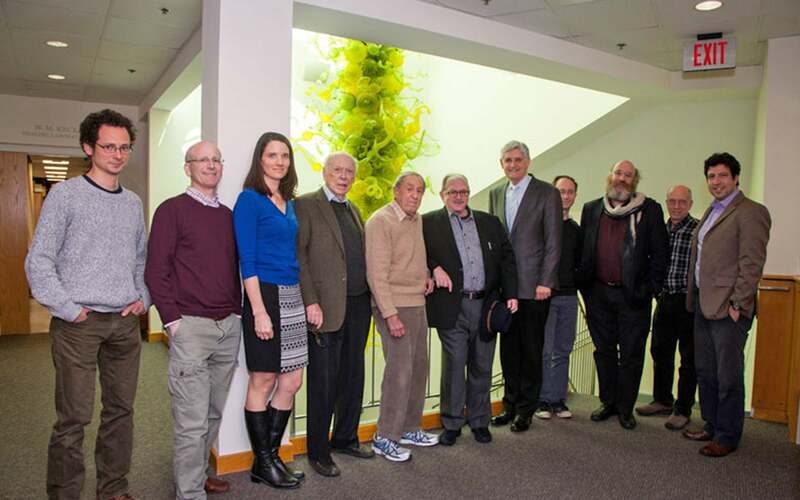 Attendees included the Foundation’s new Chief Scientific Advisor Professor William Bialek, a member of the Lewis-Sigler Institute for Integrative Genomics at Princeton, Dr. Hirsh Cohen, the Foundation’s former Science Director, trustees Shanah Swartz Gordon and Nikola Swartz Hennes, Jerry’s four grandchildren, CSHL President Bruce Stillman, CSHL Chancellor Emeritus Jim Watson and all of CSHL’s members of the Swartz Centers. 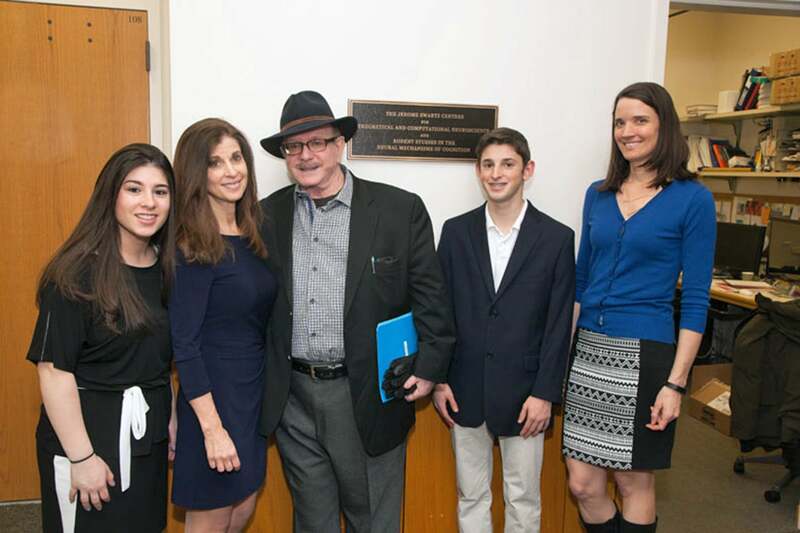 Dr. Stillman led the dedication with remarks about Jerry’s extraordinary contributions to neuroscience not only at Cold Spring Harbor but at 10 other Swartz Centers at major academic research institutes across the United States. 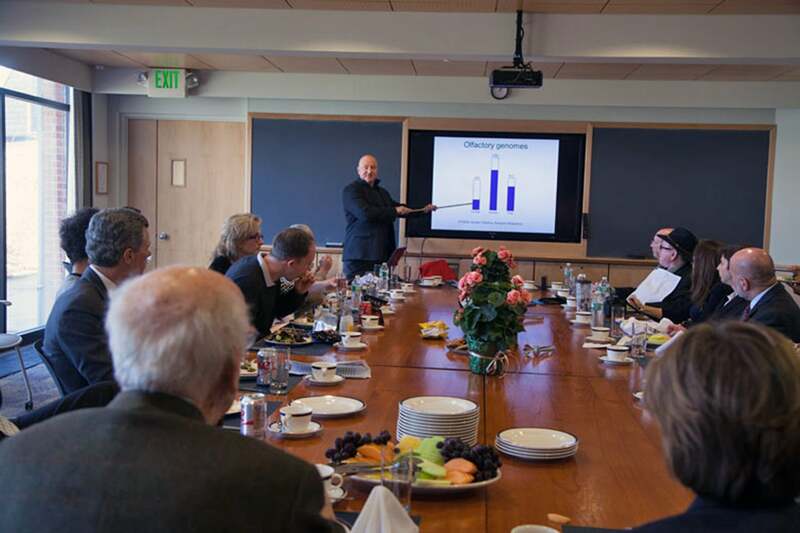 Talks during a buffet luncheon by Swartz Center members included: Deciphering the olfactory code by Alexei Koulakov; A Category-free Neural Population supports evolving Behavioral Demands during Perceptual Decisions by Anne Churchland; and Confidence: Statistical Principles, Behavioral Reports and Neural Dynamics by Adam Kepecs.